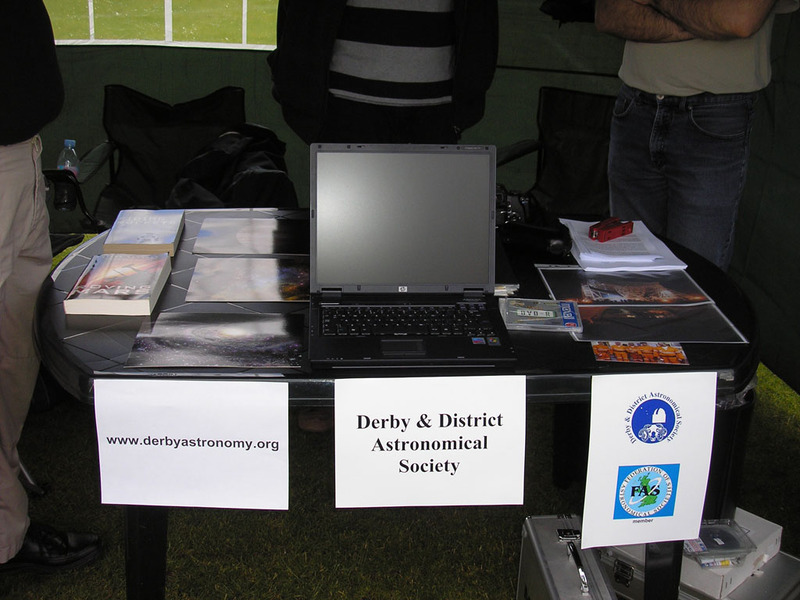 The DDAS was once again invited to have a stand at the Cancer Research UK Relay for Life at Moorways Stadium in Derby - this time on Saturday 5th July 2008. DDAS Chairman Anthony Southwell, Vice Chair Chris Newsome, Secretary Dave Selfe, Treasurer Adrian Brown, Committee Member Tony Hubbard and Web Master Mike Lancaster were in attendance. 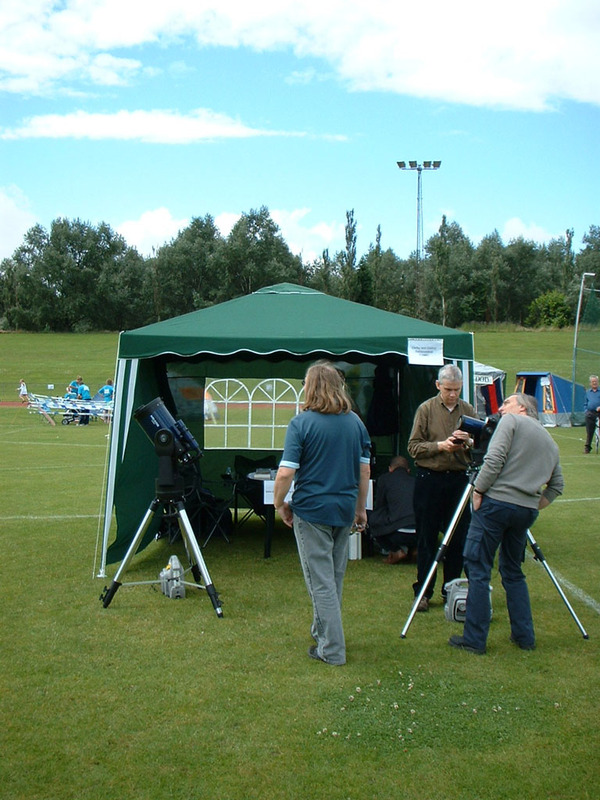 The Society's gazebo was erected in the middle of a rain shower first thing on the Saturday morning and an array of information on the DDAS, member's astro-photos and laptop presentations were made available. 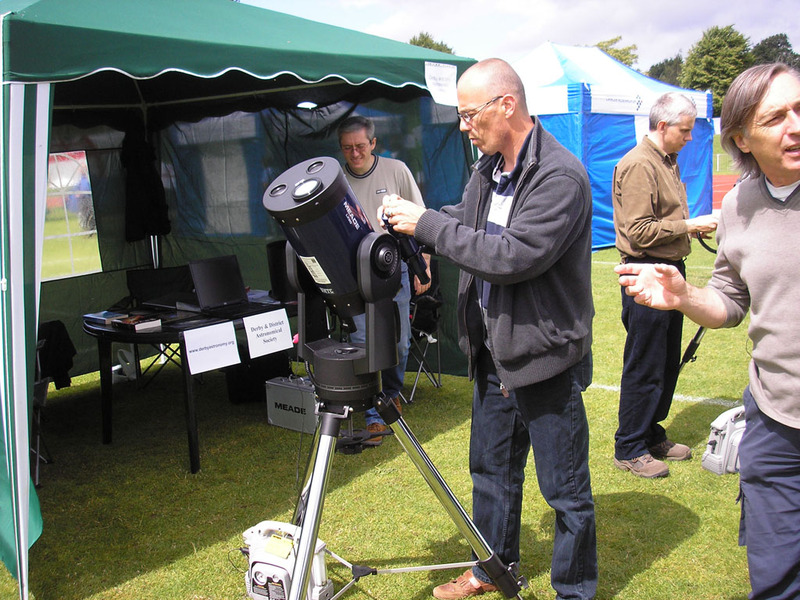 Fortunately the rain cleared and the Sun came out, as did a couple of telescopes for solar observing. 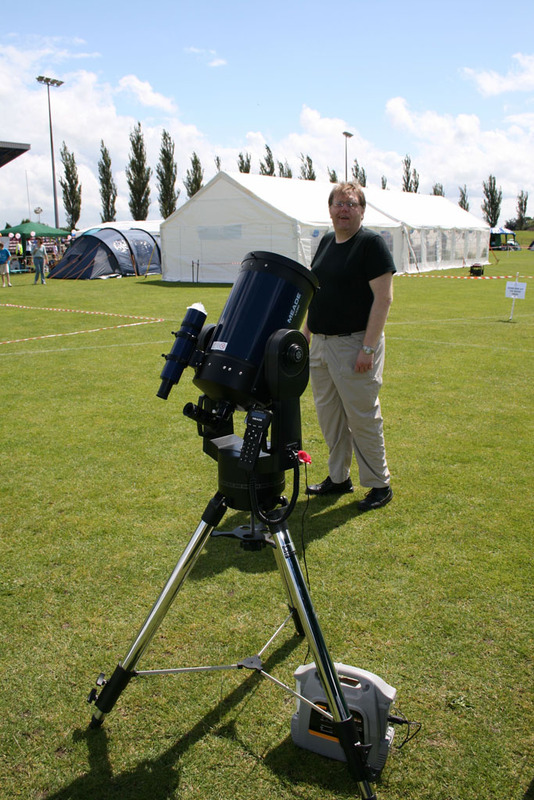 These were the club's LX-90 under the expert control of Chris Newsome, and Mike Lancaster with his ETX-90 'eclipse and transit chaser'. Sadly the Sun was spotless but at least it was visible! During the afternoon the telescopes were trained on the thin crescent of the 2 day old Moon, showing up remarkably well against the bright daytime sky (good old Autostar). 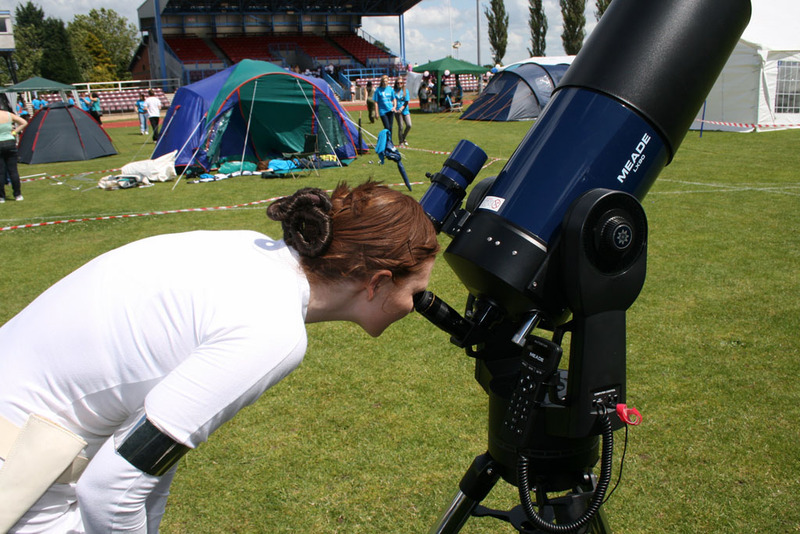 Many people were glad to see us back this year (the rain of 2007 had kept us away), and quite a few had their first look through a telescope at the Moon or the filtered Sun. We were even inspected by the UK Garrison of the 501st Legion of Imperial Stormtroopers, together with Princess Leia no less! I think they must have been off duty as we were not marched off to see Lord Vader - either that or our Jedi mind tricks worked. 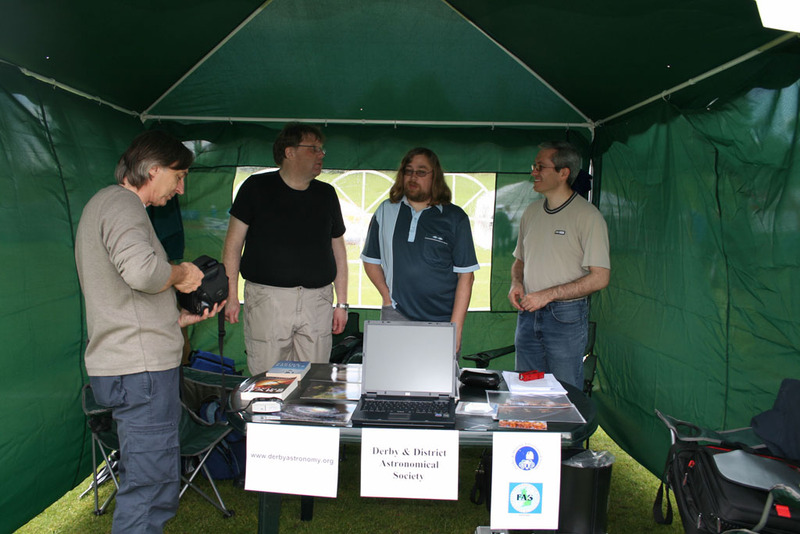 Having avoided Imperial entanglements we were ultimately thwarted by the weather, as another storm trooped in and ever more powerful gusts of wind threatened to take our gazebo into orbit. So by the early evening as more rain arrived we decided on a strategic withdrawal and packed up shop. A big thank you to the Relay organisers and in particular Chris Aldridge for inviting us again and making us feel welcome. Safely setting our sights on the Sun. 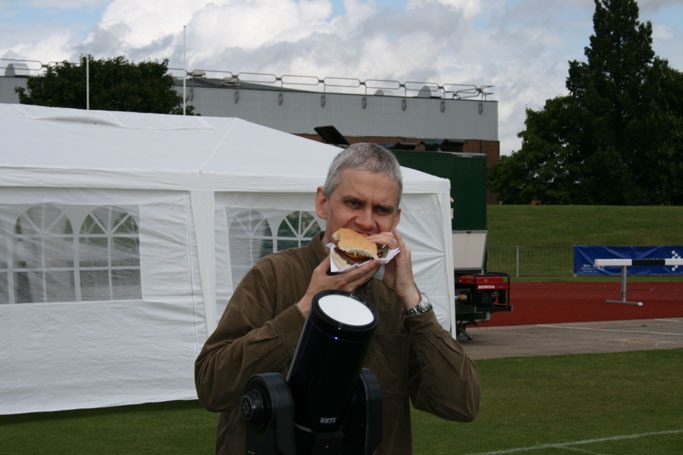 As Patrick Moore would say: "...and don't forget to cap your finder!" 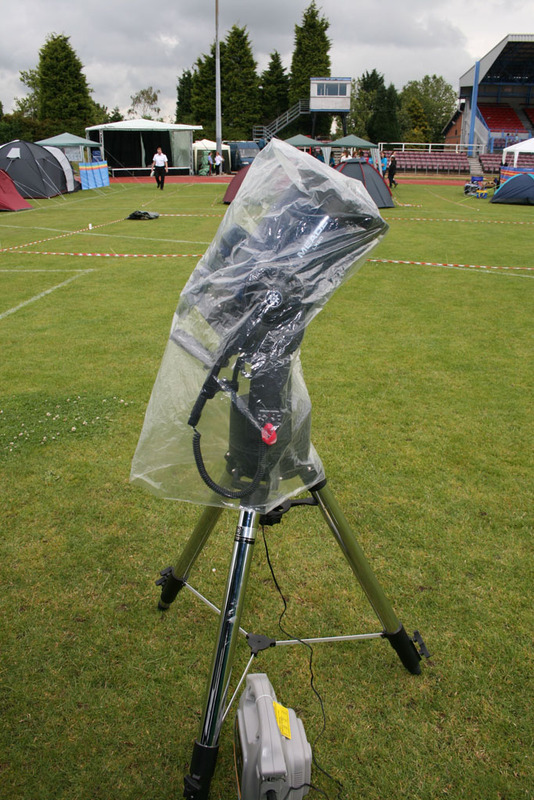 The DDAS are awaiting their patent on the new rain filter to allow observing in inclement weather! Behind you! ...or... 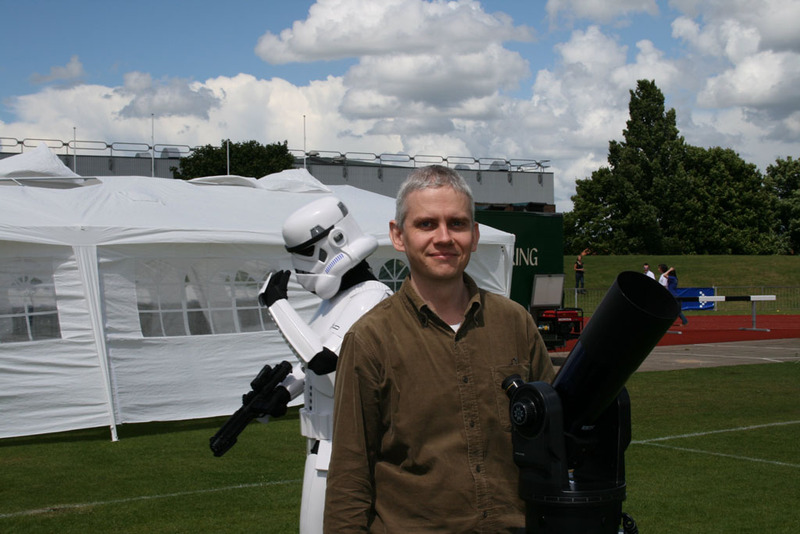 "...I'm not the astronomer you're looking for". The Empire Strikes Back. 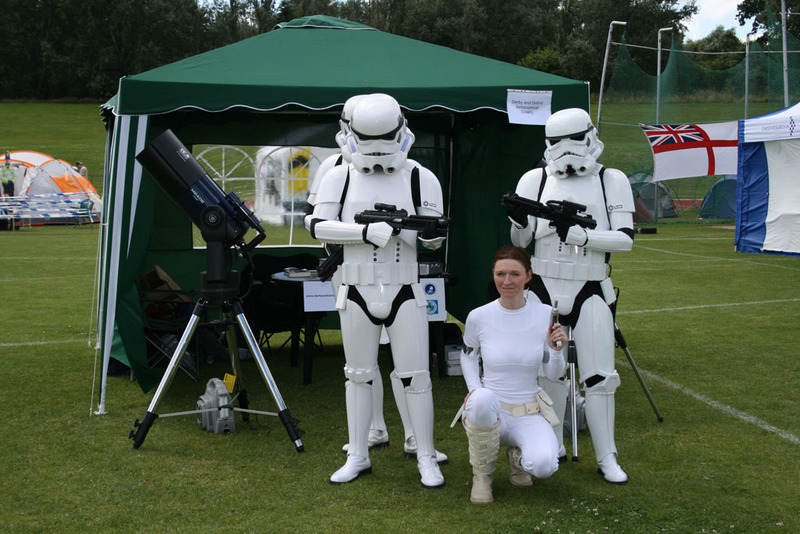 Princess Leia and Imperial Stormtroopers of the 501st Legion - UK Garrison - at the DDAS stand. That's no Moon! Princess Leia looks for the Death Star. For pictures of our activities at the 2006 Relay For Life click here.